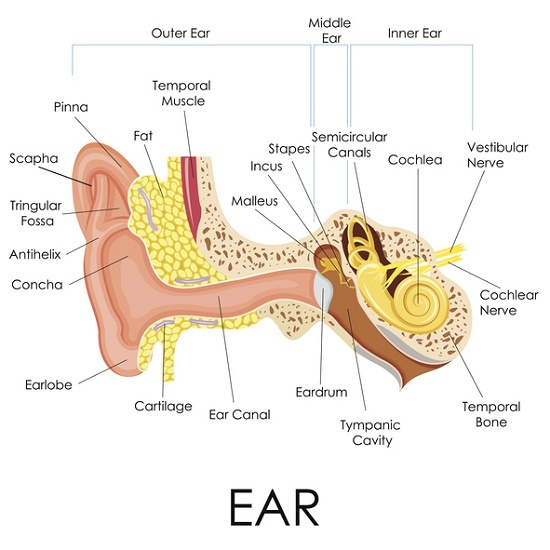 6 Disorders That Affect Hearing and Balance that You May Not Recognize | Northeast Hearing Center Inc. Hearing loss is widespread problem in the U.S., one affecting 48 million people – in other words, about 20 percent of the entire population. The chances you know someone who has hearing loss are around 1 in 5. BPPV refers to dizziness related to a collection of calcium carbonate crystals, called “ear rocks,” that form inside the inner ear. The medical name for these crystals is otoconia. Ménière’s disease is condition affecting the inner ear that may cause vertigo, progressive hearing loss, ringing in the ears, and a feeling of fullness or pressure in the ear. The acoustic neuroma is an uncommon and benign tumor of the hearing and balance nerves that disrupts the transmission of hearing and balance data to the brain. Although the tumor does not spread to other organs, it can become large enough to cause hearing loss and balance problems.